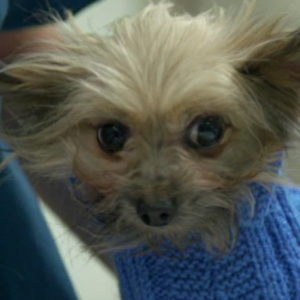 In the fourth episode of the series, Professor Noel Fitzpatrick is faced with a trio of dilemmas when a tiny crossbreed Terrier suffering from a serious injury to her leg after an attack, a young French Bulldog with a spinal deformity and a Newfoundland therapy dog with a suspected tumour all turn to Fitzpatrick Referrals in need of life changing treatment. Julie arrives with tiny crossbreed Terrier, six-year-old Ren, who’s been attacked by another dog and the paw of one of her front legs has been ripped off. Julie rescued Ren as a stray living on a rubbish tip. 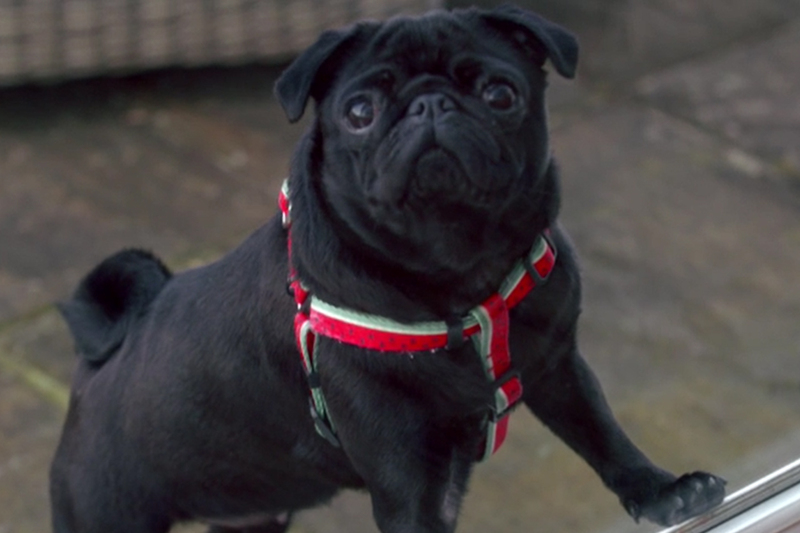 Although she has a multiple dog family and runs a rescue centre, Ren has a very special place in Julie’s heart and she’s hoping for a solution. The options appear to be possibly replacing the paw with a bionic implant or amputating the entire limb. “She’s super-cute, but aesthetics shouldn’t sway us,” Noel says. “I would be very reluctant to recommend a limb amputation prosthesis, which is skeleton-anchored, because we would put her through an awful lot, and she would probably be fine on three legs”. Noel instead suggests a third option to try to save the leg: a custom made, removable, suction cup prosthesis. Carla and Steve make a deeply emotional visit to Fitzpatrick Referrals when they arrive with their beloved five-year-old, 70-kilo Newfoundland Tallulah, whom they’ve known since she was two days old and who’s suffering from persistent lameness of one of her front legs that has defied accurate diagnosis in the past, in spite of biopsies. This is of particular concern because Tallulah already has hip dysplasia and may not cope very well on three legs. 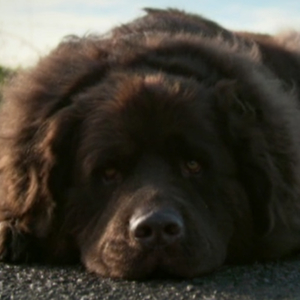 This very special gentle giant is an emotional support dog for Carla, who suffers from dissociative identity disorder (multiple personalities) and is therefore very important for her well-being. Sadly, after examination, Noel has to deliver some potentially devastating news. “In my opinion, it’s likely to be a tumour. The dilemma we have is, we can’t get a big enough biopsy sample to definitely tell what it is without cutting it out. But if this is a primary sarcoma, the median survival time is under eleven months.” Everything hinges on the scans which Noel recommends, leaving Carla and Steve to endure another apprehensive wait before they can find out when, and if, Tallulah can be helped. 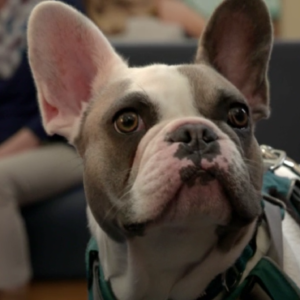 Claire and Liz bring in young French Bulldog Dave, who has a spinal deformity that’s making his life a misery. 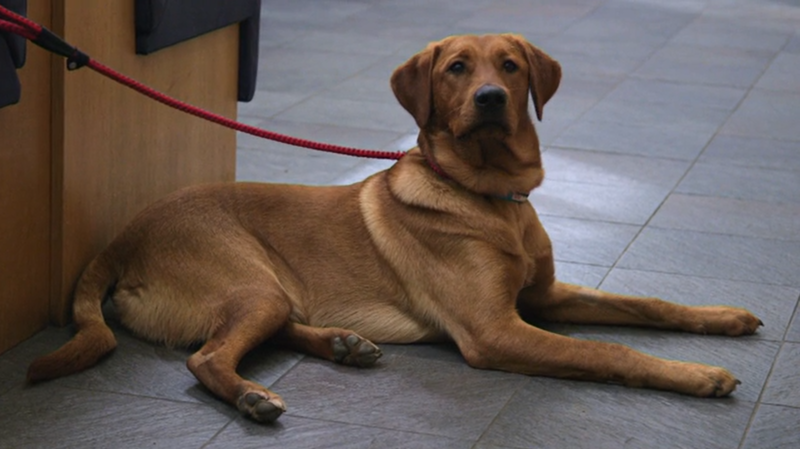 Even though he’s less than a year old, Professor Noel Fitzpatrick discovers that Dave has double trouble: not only a genetic malformation of his sacral and lumbar vertebrae, but also excess bone in the pathways where the nerves travel to his legs. The surgical option would involve delicate and high-risk navigation to treat both issues – and there’s no guarantee of avoiding paralysis. Returning to the NEC Birmingham 2-3 November 2019, the National Pet Show is the nation’s most loved pet event where you can see hundreds of animals, meet industry experts, watch animal action displays and shop the latest products. DogFest is the UK’s Ultimate Summer Festival for Dogs. Join hundreds of dog lovers for a fun-filled weekend, alongside special guests Professor Noel Fitzpatrick and Clare Balding!